Our BuddyPress Integration for Paid Memberships Pro allows you to restrict access to specific features of your BuddyPress community by membership level, allowing you to build a custom, private, and flexible members-only community. Make sure you have the Paid Memberships Pro plugin and BuddyPress plugin installed and activated. Install the Add On via the Plugins > Add New in the WordPress dashboard. Or, upload the ‘pmpro-buddypress’ directory to the ‘/wp-content/plugins/’ directory of your site. Navigate to Memberships > ‘Page Settings’. Under “Additional Page Settings”, generate or select an existing page for the “Access Restricted” page. If you are using an existing page, be sure to include the [pmpro_buddypress_restricted] shortcode in the page content. Group Creation Can members of this level create BuddyPress Groups? Single Group Viewing Can members of this level view individual BuddyPress Groups? Groups Page Viewing Can members of this level view the BuddyPress Groups page? Joining Groups Can members of this level join BuddyPress Groups? Public Messaging Can members of this level send public messages to other members? Private Messaging Can members of this level send private messages to other members? Send Friend Requests Can members of this level send friend requests to other members? Include in Member Directory Should members of this level be included in the BuddyPress member directory? Navigate to Memberships > PMPro BuddyPress. This Add On also allows you to use the BuddyPress user registration process (in place of the Membership Levels > Membership Checkout process). Select your desired setting under “Registration Page”. It is important to note that the BuddyPress registration process will not automatically apply a membership level to the user, nor will it allow you to process a paid membership checkout. 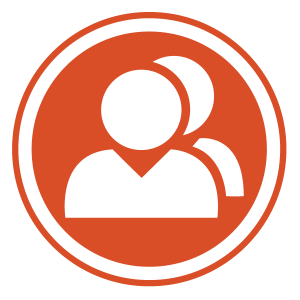 If you are allowing users without a membership level access to some portion of BuddyPress, you can select the “Use BuddyPress Registration Page”. This will only work if you have set the “Non-member User Settings” to allow access to some features of BuddyPress. If you’d like to apply a default membership level (non-paid) as part of BuddyPress registration, please refer to this tutorial. When defining fields with the Register Helper Add On, you can set a “buddypress” option to the full case-sensitive name of an XProfile Field you set up in the BuddyPress Extended Profile. When defined like this, any update to the XProfile Field will also update the user meta field, and any update to the user meta field will also update the XProfile Field.